A novelty at Sainte Marie-aux-Mines 2011. Sharp and very well individualized white dipyramidal crystals of Gismondine, one of them clearly dominant, with very well defined faces and edges. 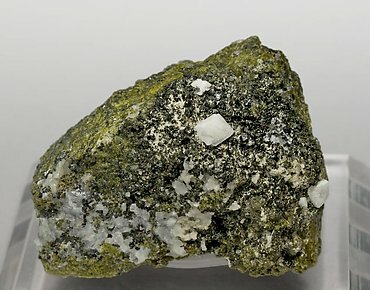 On matrix, with bluish Calcite, Epidote and Chlorite.